Vikram Prabhu teams up with debutant director Anbarasan for an action entertainer produced by Singaravelan's Madukkur Movie Makers. The makers have managed to bring together an interesting team of action heroes. Apart from Vikram Prabhu, the film also features 'Action King' Arjun and Hindi actor Jackie Shroff in the pivotal roles. 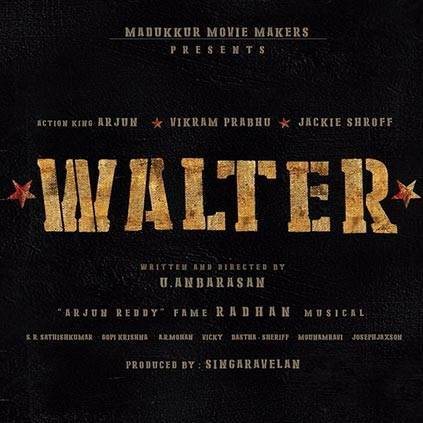 This movie has been titled as Walter and the title logo has now been released by the team. Arjun Reddy fame Radhan takes care of the music department. People looking for online information on Vikram Prabhu will find this news story useful.